This is making my stomach rumble!! Looks so good!! I bought a bunch of minis recently, so I should use them for this!! Mmmm! 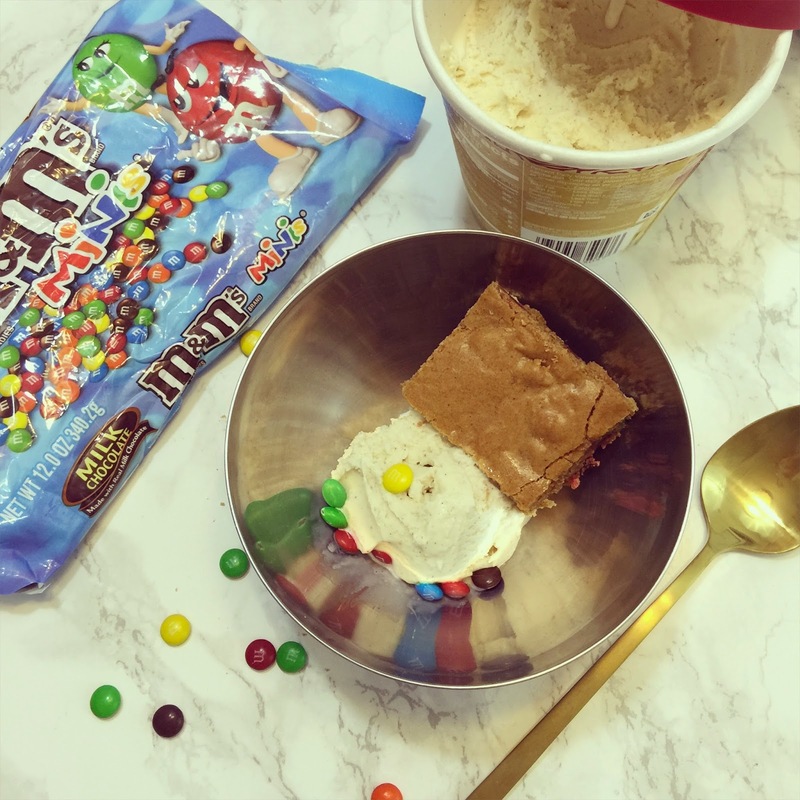 M&Ms are my favorite candy so this is a total win for me - love the ice cream topping, too! YUM! 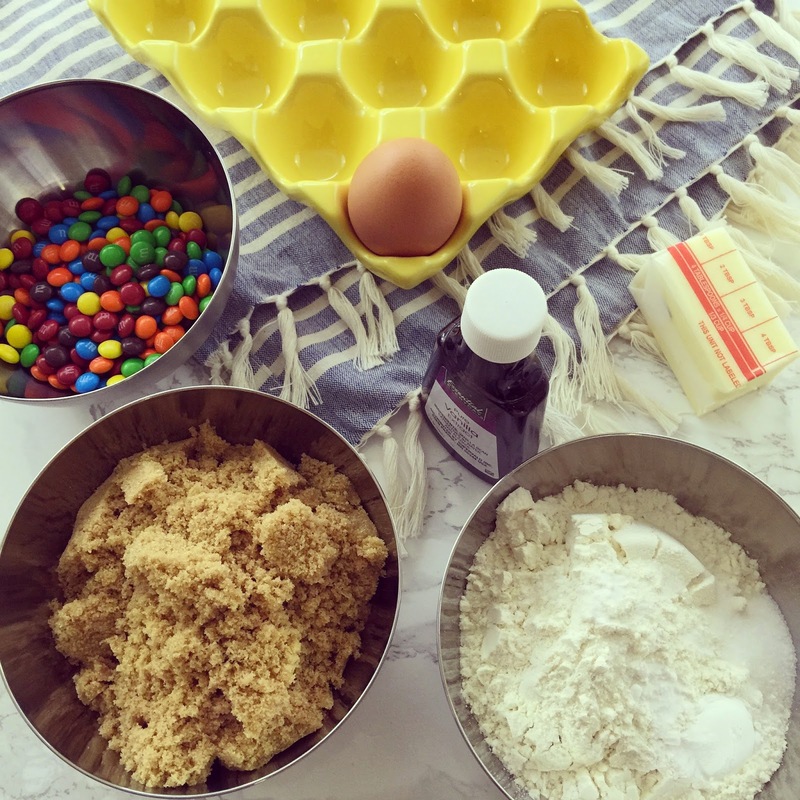 Any brownies with M&Ms are good brownies in my book! I love any and all Blondie recipes! One of my favorite desserts and now you having me craving them - we always do a special treat on the weekends to! 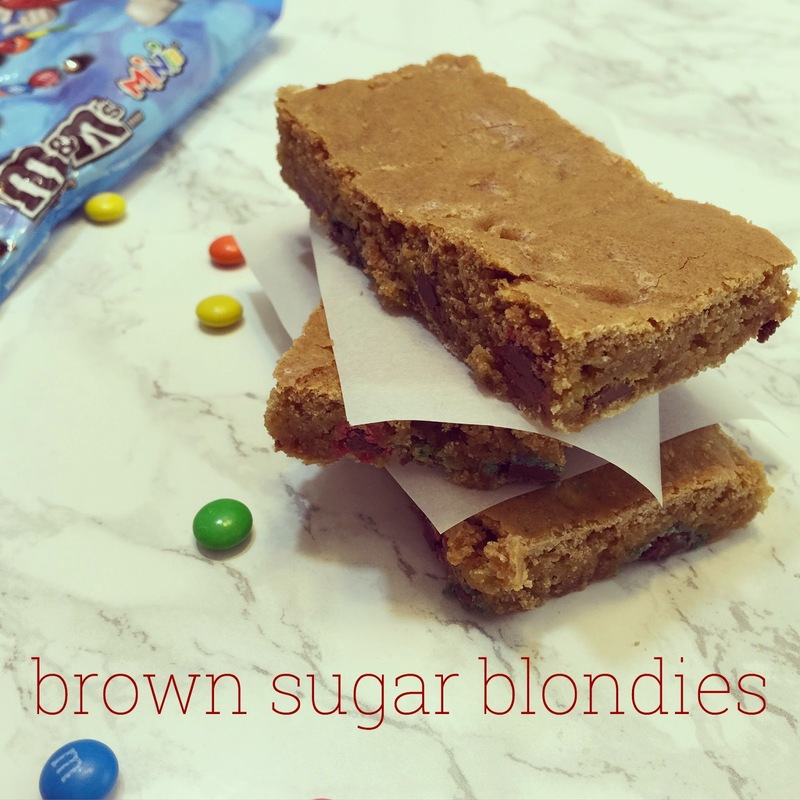 Blondies are my absolute fave so I'm drooling this morning! 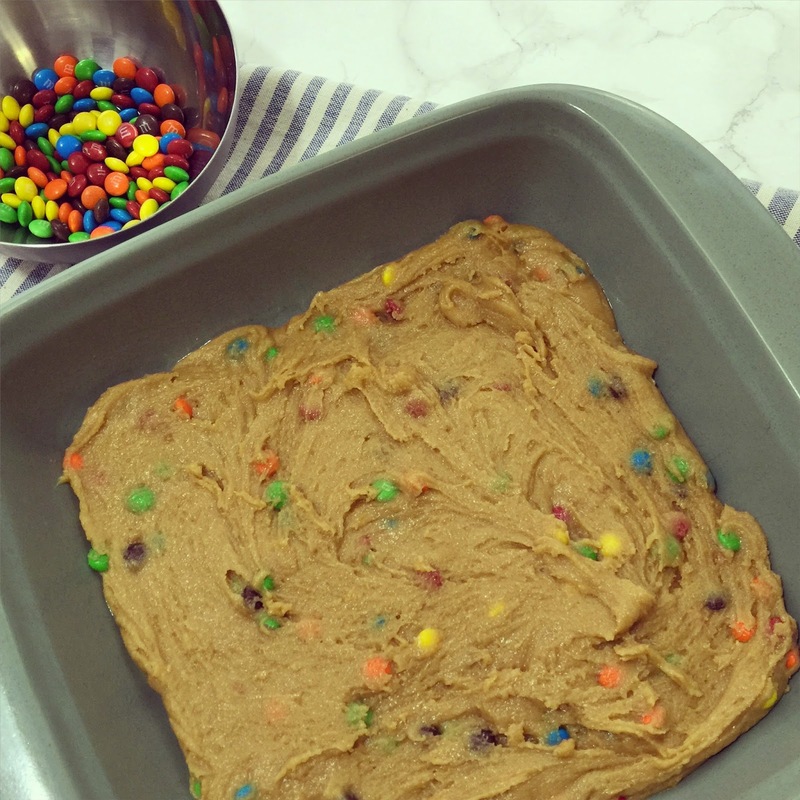 Those look SO good, I could totally eat the whole pan! The sweet tooth blondie lover in me is drooling! Pinned :) YUM! My husband would have those ate faster then I could pull them out of the oven. I'm not sure I've ever had a blondie. They always confuse me, what are they?! I guess I should just try em and find out! OMG. I have all these ingredients at home. Mmmmmmmm. I LOVE ME A BLONDIE! Great recipe. Definitely pinning! 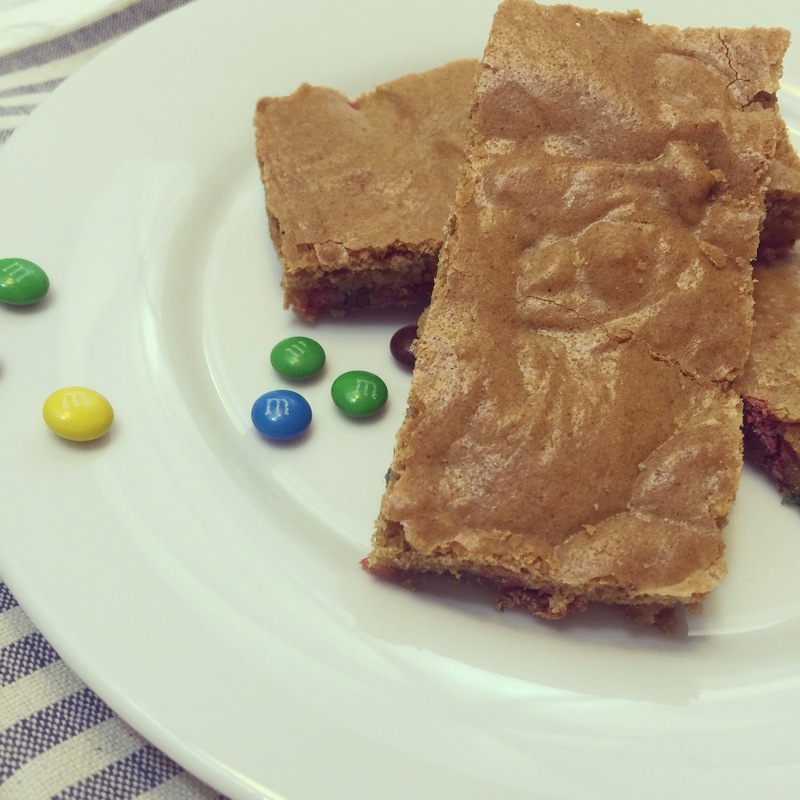 Blondies are so amazing and I love your addition of the M&Ms (because why not!?). Ok, I'm ready for a sweet treat now. I also love blondies in an italicized way!! I have everything in my kitchen except for the brown sugar. I may just have to pick some up tonight and make these! Yum! Blondies are so good..I have a very bad habit of going to Applebees for them! These are making my mouth water-- they look soooo good! I'm pretty sure I made this exact recipe for T once and he loved them. I tried to re-do and it wasn't as successful. I'll definitely be needing to try out your recipe since it looks so yummy..I'm sure T will thank you for reviving this recipe. These look great!! I'll have to try this out. 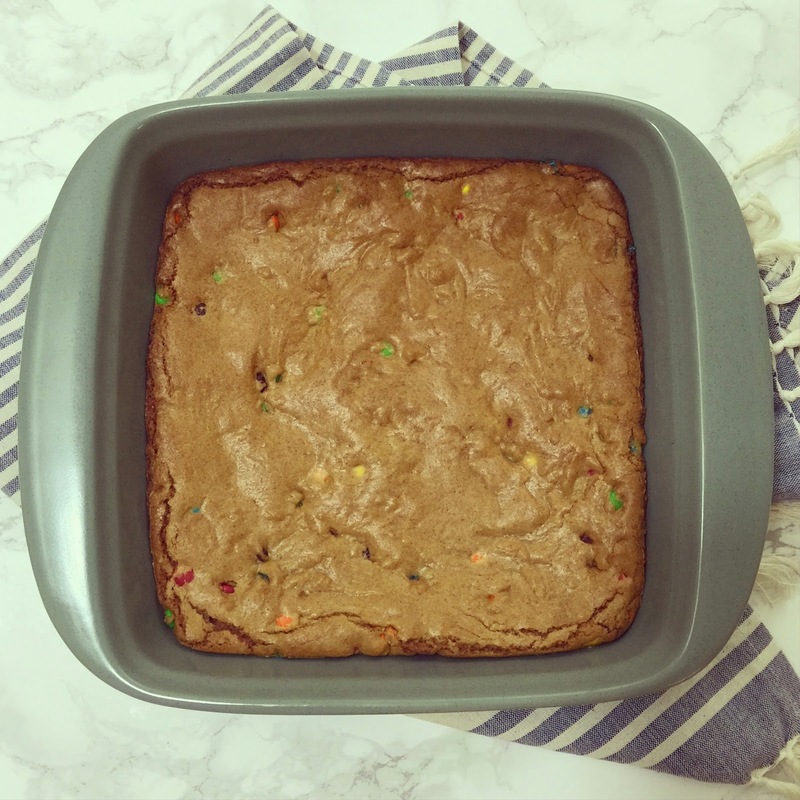 I'm also a big brownie fan, but this looks too good to not make.